Byron Scott criticizes Tarik Black, wants to see Tarik play with his "balls out"
Discussion in 'NBA Dish' started by Carl Herrera, Jan 18, 2016. If Byron Scott doesn't want Tarik Black, does Daryl Morey want Tarik back? Byron Scott is about as worthless of a coach as you can get. Crazy he won coach of the year when he was with Chris Paul in New Orleans. That's some hot rhyme breh. Looking back to Tarik Black's release to make room for Smoove, wonder if anybody here would be willing to admit we would've been better off to have traded Terrence to the highest bidder and kept Black? We needs a powerforward in the worst way. Enough of the dmo and tjones experiment. What was the highest bid though, I mean if people were offering low 2nd rounders for him I'd have just kept Jones. We had capspace to resign Smith last year regardless, he just fell for Cp3's smooth talk and signed for less money and less PT on a fundamentally worse team (perennial chokers). I thought Tarik was one of the more ballsy guys we had, relatively speaking. Maybe its time Byron needs to coach his own balls out. Love Tarik, but faithful to MonstaTrezz. Byron is a terrible coach. Last time we played the Lakers in Houston, he elected to hack a Dwight over Capela. Such an overrated coach. He will get exposed like Mike Brown, who is one of the worst head coaches Ive ever seen. Scott's like a poor mans Doc Rivers or maybe more accurately a poor mans Mike Dantoni. Would you believe he also coached the Nets to the Finals twice in-a-row? Lost both times. Amazing to think about it. Similarity: Great PG on the team who arguably were the real coaches on the floor. 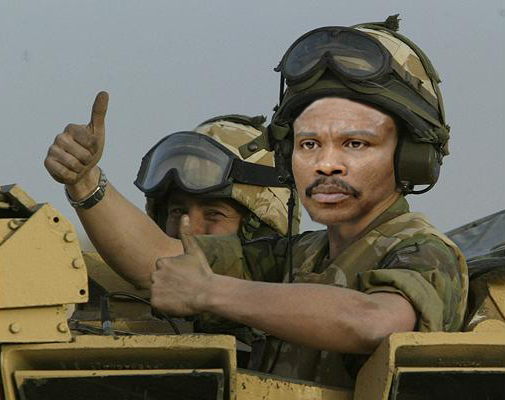 If Byron Scott was ever a decent coach, he has lost all credibility with this current gig at the Lakers. If it's the Lakers mgmt commanding him to tank, then this should be a warning to any other coach who ever considers taking a tanking gig. They could be permanently tarnishing their reputation and career. Did Cavs management command him to tank, too? Byron Scott is a joke of a coach. Stuff a good ex-NBA player in a suit? Does not a great coach make. what about 7'3 280lb roy hibbert? should he play balls out? or should be play half his size and half hearted? Tarik was good for the Rockets before the trade. But I think Tarik going to be the Lakers longer than Byron Scott. Once Kobe retires, Scott is outa of a job.